The Doheny Surf Festival promises to be a big, fun-filled two-day event next Saturday and Sunday, June 28 and 29, 2014, from 9:00am to 8:00pm. And, as we reported earlier, PaddleAir will be there along with the Team Ergo Demo Van. 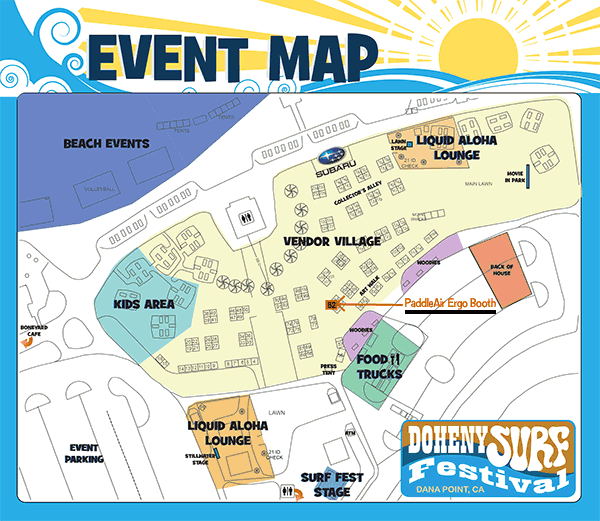 To learn more about the Doheny Surf Festival visit their website. To check out the latest about the PaddleAir Ergo surf on over to paddleair.com/ergo.